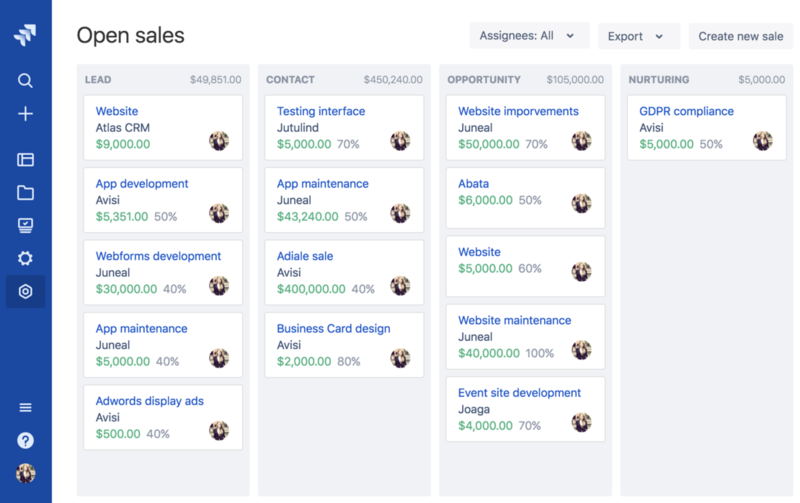 Manage the work you're doing to close sales, right inside Jira and Confluence. Track your sales in a visual sales funnel, from lead all the way to contract. Sales management is currently only available for Cloud users. Set-up your own workflow to close sales. 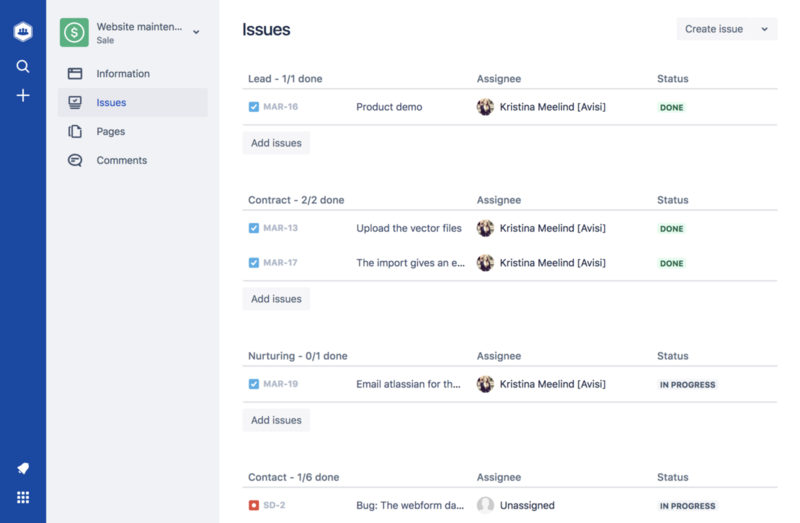 Each issue linked to the sale can have its own workflow, simply managed in Jira. Easily track your sales' statuses, the customer they relate to, and the amount of money involved. Have a full overview of Sales related pages for example contracts, briefings, invoices, and research. Get an overview of all your sales, money involved and linked customers. In one visual sales funnel inside Jira and Confluence. The sales funnel gives you an overview per funnel stage. Find out how many sales each stage has and what their total value is. Go one step further and plan your work according to the funnel stages. You'll know exactly what to do to progress each sale.